No more knotty hair! 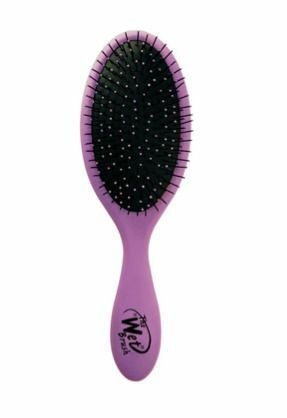 The Wet Brush is specially designed to detangle your wet or dry hair without breaking your hair. The secret is their Intelliflex bristles that are thin but strong and flexible with little knobs at the tips to gently massage your scalp. Especially refreshing after a swim at the beach when our hair is all tangled and filled with sand – the Wet Brush manages to easily glide through without cries of “ouch”! Comes in 6 colors.